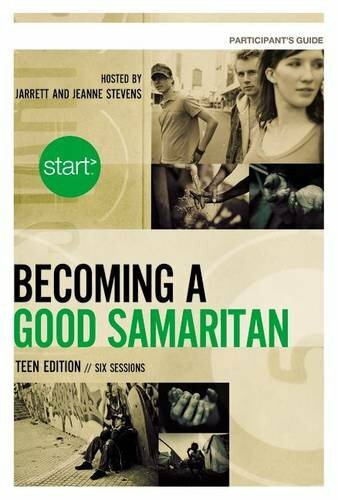 start Becoming a Good Samaritan, Teen Edition DVD will help students live out Christ's love in world-changing ways, right now, right where they live. Jarrett and Jeanne Stevens host six engaging sessions helping guide teens on how to begin to bring hope to those suffering from poverty, social injustice, disease, oppression, and more. 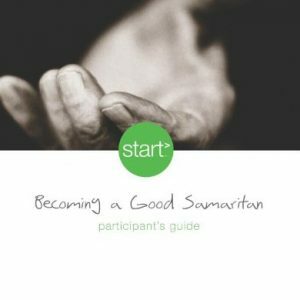 Explore these critical needs facing our world and understand how you can help your students become Good Samaritans. “What does it take for teenagers to “love your neighbor” in a global community? 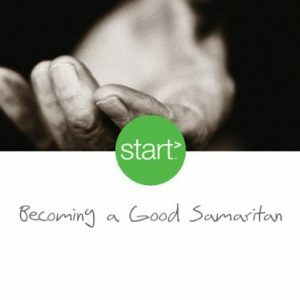 Start> Becoming a Good Samaritan Teen Edition is an initiative to help teenagers live out Christ’s love in world-changing ways right where they live. This groundbreaking training program helps youth groups and youth organizations of explore the most pressing issues of our time—then start actually doing something about them. Join Jarret and Jeannie Stevens as they host six emotionally packed sessions featuring a remarkable array of global Christian leaders, including Zach Hunter, Brandon Heath, Mike Yankoski, Jason Russell, Rob Bell, Shane Claiborne, and many others. 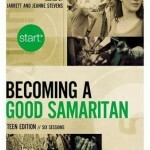 The start> Becoming a Good Samaritan Teen Edition takes your students into the streets where, as the hands and feet of Christ, they will live out the gospel, positively impacting those suffering from poverty, social injustice, pandemic diseases, and more. Visit www.juststart.org to learn more about the nationwide church campaign experience and the growing list of national and international supporters and to access supplemental, online resources for the DVD curriculum.